Choose from 5000+ credit cards, securely downloaded every day. Each transaction is properly categorized and displayed. Send expense reports to your approver, along with a PDF, Approvals can be done entirely online including viewing receipts. Receipts, Expense Policies & more! Capture and store IRS documented receipts. Expense policy controls, 160 currencies, and automated weekly expense reports. 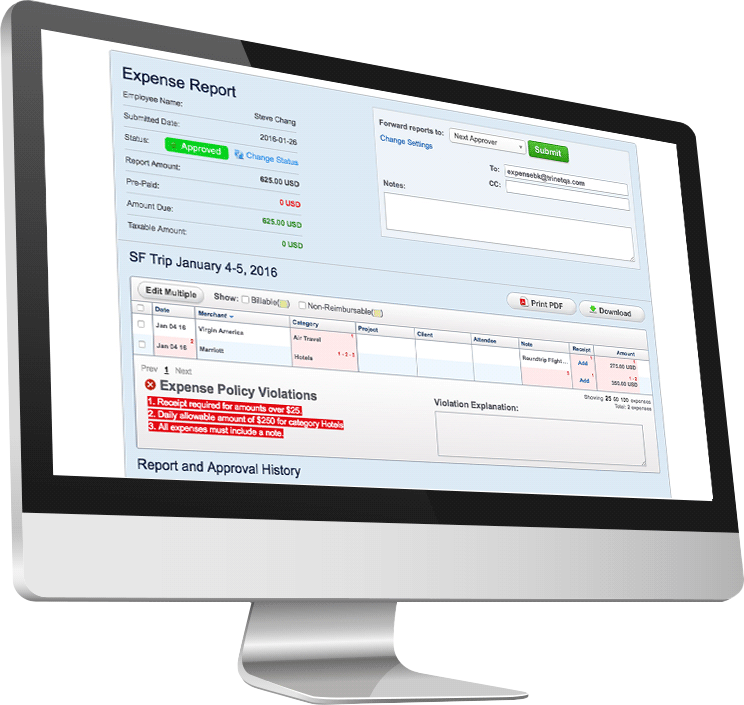 Submit expenses reports for reimbursement into NetSuite, QuickBooks or Intacct in seconds. All you need is your login. Capture receipt images on the go. Add expenses and edit imported credit card data. Create, submit, and approve expense reports.